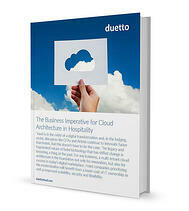 The foundation for success in today's hospitality industry and for further innovation can't be found on premise at any hotel, but rather in the cloud. 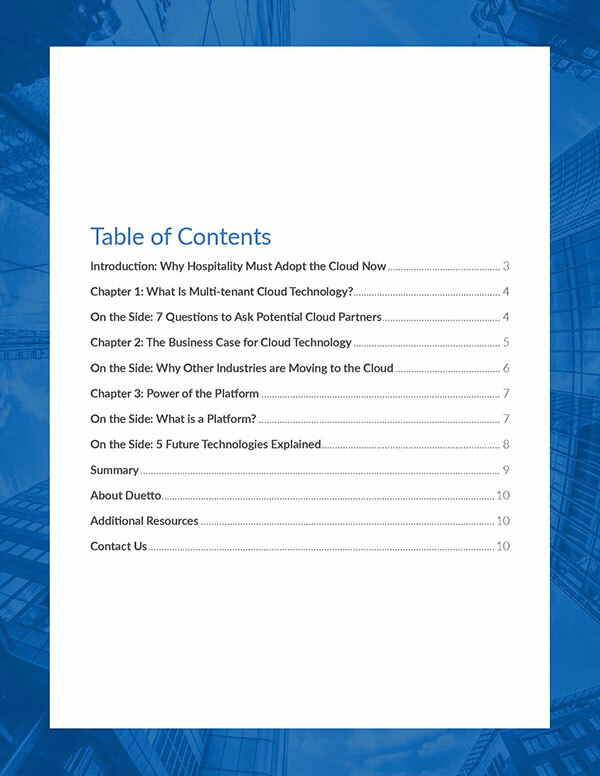 This new whitepaper describes four ways the software-as-a-service (SaaS) framework transforms a hotel or casino's technology stack into an engine for growth. 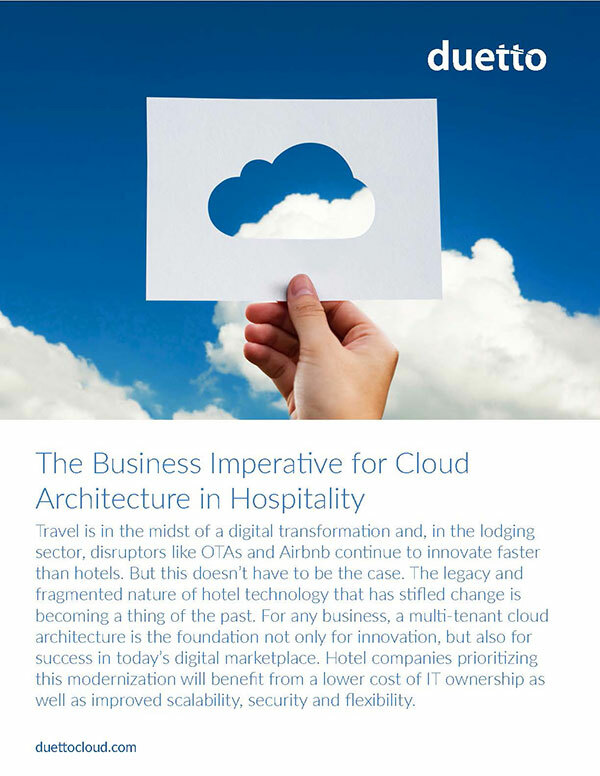 Cloud-based systems, integrating through open APIs, will accelerate hospitality's lagging innovation in the race against disruptors like Airbnb and online travel agencies. By automating many pricing, distribution and reporting functions, while making data collected from across the tech stack unified and actionable, new tools can make hotels far more efficient and strategic. 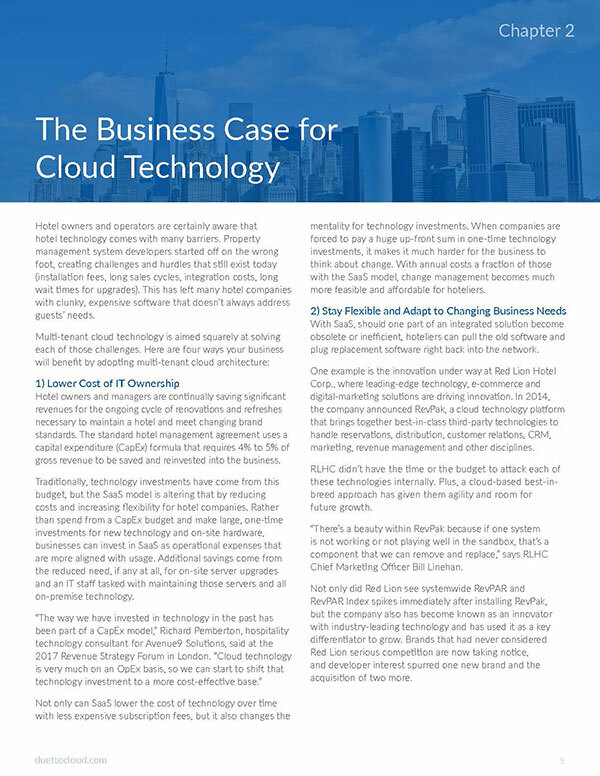 Learn how cloud architecture can lower hotels' and casinos' costs of IT ownership, while increasing their scalability and flexibility to adopt new technology, all while securing data more effectively than on-premise systems can, by downloading this new guide today. 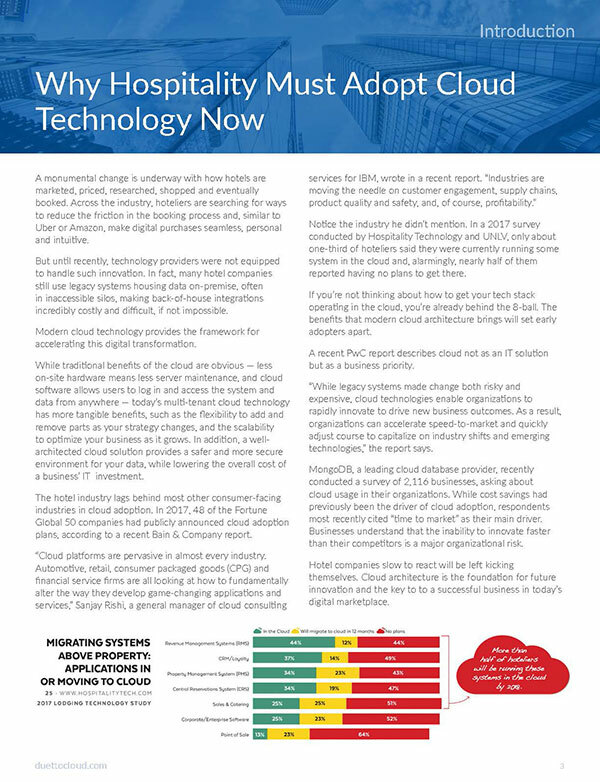 "The fundamental reason (for a multi-tenant cloud structure) is about innovation and the speed at which a product evolves and advances. 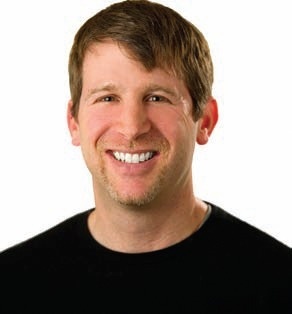 Having personally developed installed software in the 1990s, I can say the difference in productivity as a developer and a company is profound."